While this blog will be primarily about coffee roasting and brewing, I plan to post the occasional cafe review when I'm inspired by something particularly wonderful or terrible. Last week I visited three of Manhattan's newer cafes and had some refreshing experiences. Coincidentally or not, all three are owned by Australians, and they're raising the bar on service at Manhattan coffee bars. I'm grateful. All three rank in my top-five Manhattan cafes. The coffee varies from decent to great, but the reason you should visit TSB is the extraordinarily friendly service. If you're in Manhattan and feel beaten down by the purgatory called Midtown, drop into TSB/NYC. It's the least New York-y vibe in New York--in the best way possible. If you're lucky, Coco, the wonderfully gregarious head barista, will invite you to one of their disco parties. Run by Australian Kris Wood, Black Fox is sleek, spacious, and professional. 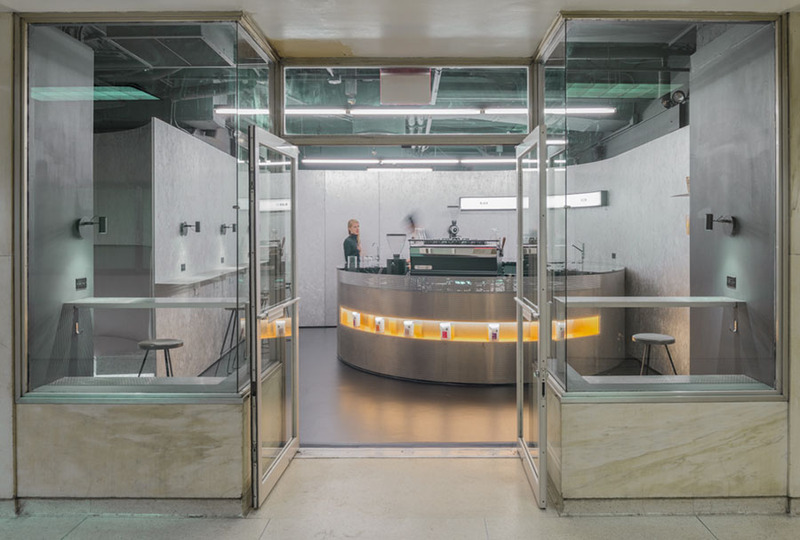 Upon opening its doors, the cafe was instantly a force to be reckoned with in Manhattan coffee. The menu is a creative blend of American and Australian influences, though the selection was too skimpy for my limited diet, so I didn't get to try much. Kris uses several roasters, prominent among them Ruby and 49th Parallel, two of my favorites. The Kenya from Ruby was nicely made in a Clever Dripper and the Fetco was pretty good, too.